"If you think that digital health brings with it many questions and maybe more questions than answers, you are not alone," says Denise Silber, organizer of the 3rd Annual Doctors 2.0 & You conference, which will take place on June 4-5, 2015, in Paris. In a post on LinkedIn (here), Denise provides a list of "26 sizzling questions" that she says will be tackled at this conference. As I said before, I have 10 reasons for not liking lists (especially long lists), which you can read here. That being said, here are a few questions from Denise's list I DO like and for which I have answers. Q4: "How can major corporations successfully collaborate with start-ups? What's the best model?" A: In the pharma industry, I think Bayer Health is leading the way collaborating with digital health startups. Bayer HealthCare's Grants4AppsTM program invites health app developers to submit their innovative app ideas for novel software that contributes to improving health outcomes or pharmaceutical processes. Bayer HealthCare considers an "App" as software solution based on any platform. For more about that, read "Bayer Pharma Meets Pharmaguy Meets Healthcare App Startups: A Call for Best Practices." Unfortunately, it doesn't look like the Grants4Apps team will be presenting at or attending Doctors 2.0 & You. I hope after reading this, Denise may invite them to at least attend or give the effort honorable mention at the conference. Q7: What do we know about the emergence of "Patient Opinion Leaders"? A: OMG! Don't get me started on that! I recently wrote a Pharma Marketing News article about the term "Key Opinion Leader," which applies to physicians (see "A KOL by Any Other Name: Too Toxic for Everyday Use, or Still the Best Term to Use?") In that article, I also talked about Patient Opinion Leaders and, in particular, online patient opinion leaders, which should be the real issue discussed at the conference. There are plenty of instances where the relationships between POLs and the pharmaceutical/healthcare industry are not as transparent as they should be (read, for example, "Transparency is Good in Theory, But Not in Practice"). Q10: How is twitter impacting the future of medical conferences? In this 2.5-minute audio snippet, Len Starnes, renowned digital healthcare consultant, talks about the transformation of medical congresses from the physical to the virtual. Starnes touches on the challenges and gives an example of how one medical society is overcoming them. 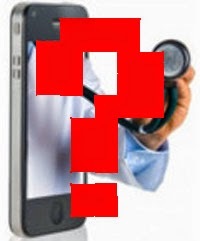 Q20: What are the latest trends in applied or serious games for health? A: I hope the conference doesn't feature BI's SYRUM game again! That, and other pharma "gamification" initiatives, are dead in the water (see here). Unfortunately, I won't be attending this year's Doctors 2.0 & You conference, but I am proud to be an (unpaid) Media Partner for the event.